This league is currently in progress and is scheduled to end on March 04, 2018. 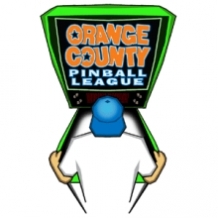 Founded in 2005, the Orange County Pinball League consists of pinball collectors and players that gather on a monthly basis to participate in a year long tournament. Membership is limited. Our goal is to give the group a chance to play, compete, facilitate social interactions, and build skills on games of different eras not normally found on location. March of the following year. At that time a new season will begin and all rankings reset. Unless stated otherwise, the league will meet on the first Sunday of the month.